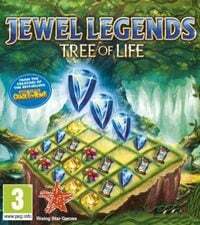 Jewel Legends: Tree of Life is a puzzle game produced by the German development studio Cerasus Media. Solving the "match three elements" puzzles (match-3) player has to help magical creatures rebuild the holy Tree of Life and defeat the dark demon. Jewel Legends: Tree of Life is another puzzle game of the type "match three elements". (match-3) created by the development team of the German studio Cerasus Media, which has, among others, Jewel Master: Cradle of Egypt 2 and Jewel Master: Atlantis. This time, however, the artists decided to move away from the subject of antiquity to the realities of fantasy. The action of the game was set in a fantastic world inhabited by the Huds. Magic beings with a pure heart once lived in harmony with the holy Tree of Life. However, the greedy demon caused the forest kingdom to fall into disrepair. The player's task is to help restore them to their former glory. The game in Jewel Legends: Tree of Life is based on classic solutions for this kind of production. The basis of the game are puzzles of the type "match three elements". By moving the symbols on the board, the player has to set them in such a way that at least three identical symbols are placed in a horizontal or vertical line, which leads to their "elimination". The creators prepared a total of 100 boards of varying degrees of difficulty. For each stage the player is rewarded with raw materials needed to rebuild the world of Huds. Jewel Legends audiovisual luminaire: Tree of Life does not differ in quality from the standards set by the Jewel Master series. As a result, the screen is dominated by 2D graphics maintained in cartoon style. The whole aesthetic experience is complemented by a non-imposing sound layer.